Continuous Positive Airway Pressure (C-Pap) machines have been used to treat sleep apnea since the early 1980s. The machines work by keeping the airway open when you are asleep. Different explanations have been given regarding how a snorer’s body adapts to a CPAP machine. In this review, we provide an overview of the medical devices from the experience of users. CPAP FAQs: Did You Know? Selecting the best CPAP device can be a real challenge, given all the features you need to consider. Below are the top rated CPAP machines on the market, with at least three top features. If you have heard about the popular ResMed S9 series, then you must be familiar with its successor, the AirSense 10 line. The features of the AirSense 10 Autoset set it apart from the S9. The AirSense 10 Autoset is the best CPAP machine because it’s functional and easy to use. Read our ResMed AirSense 10 Autoset review to know what to expect of it. Every AirSense Autoset machine has an Airview data management system. Through the system, you can transfer all your sleep apnea data from the machine to the cloud. This makes sending your statistics and settings to your doctor convenient for faster help. The AirSense 10 Autoset has intuitive and seamless navigation and display that makes everything super bliss and easy. Even if you are not technologically savvy, you will easily hack the CPAP machine without having to read the manual. This machine has a crystal clear display and other advanced features, which justify its high price tag. In my opinion, this machine has been underpriced. Its benefits exceed the money you will pay for it. 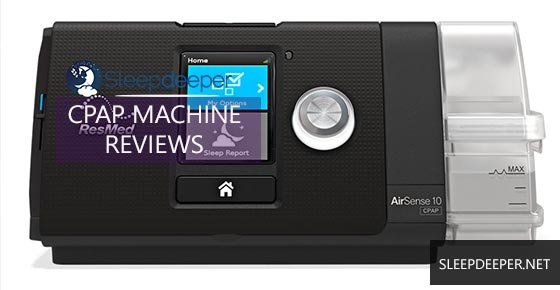 The AirSense 10 Autoset machine is my #1 recommendation for anyone looking only for the best CPAP machine. The Apex Medical iCH II CPAP machine has a sleek design that is unmatched by other CPAPs on the market. The machine is conveniently small and will beautifully sit on a bedside table. The Apex CPAP machine fits so perfectly that very few people will even realize its a medical gadget. At first, my wife thought it was an expensive alarm clock! 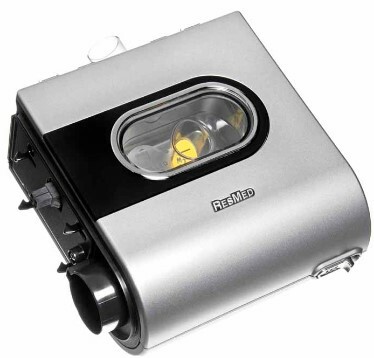 The Apex Medical iCH II Auto CPAP has a heated humidifier with six different settings. When in operation, the machine makes a very subtle sound. It’s quiet and the noise can be rated as 28 A-weighted decibels, just slightly over 25 dba for hearing. This is a massive advantage for sleepers that are sensitive to sound and light. The Apex is one of the very few CPAPs that reaches this level of silence. 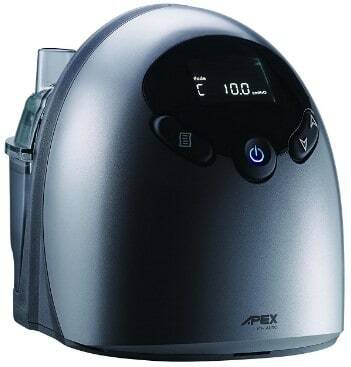 The Apex iCH Auto CPAP machine is sturdy and compact. It comes with a DC input for using it in your vehicle and has a convenient handle. There’s a Mini USB input and SD card that you can use to extract your sleeping data. The easy-to-use four button control and the anti-spill water chamber design make using this machine convenient. Although the Apex CPAP machine also has intelligent features. Thes include a smart Pressure Variation Algorithm (PVA) that gives a perfect balance in the pressure you receive from the machine. The Dreamstation Auto by Philips Respironics CPAP machine is relatively new but has taken the market by storm. 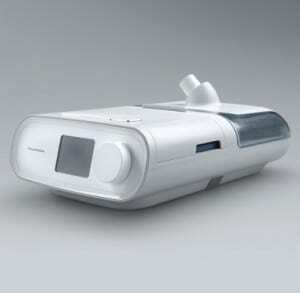 The Philips Respironics CPAP machine model was released just about the same time ResMed was releasing their AirSense 10 line of CPAPs. Its features include a wireless modem that allows data transfer, built-in Wi-Fi and Bluetooth capabilities. The Dreamstation has auto-adjusting technology and is notably lighter and smaller than most CPAP machines in the market. The Philips Respironics Dreamstation auto CPAP machine has most of the features you would want in a CPAP machine. It is no wonder some people refer to it as the Apple Product of CPAP machines! Its features include a heated tubing, heated humidifier, an SD card, and a chamber. The machine is sold with a handy traveling carrying case. There’s also an irresistible deal of one year filters at no extra cost. This is a premium CPAP machine and offers the best value for money. I highly recommend this CPAP machine. My doctor recommended that I try out this machine after being dissatisfied by quite a number of others. The ResMed S9 Autoset has multiple humidity (H5i Heated Humidifier) levels that make it possible for people with dry breathing or bloody noses to have longer, more comfortable night sleep. Dry breathing makes people wake up more frequently. The ResMed S9 Autoset CPAP machine has an onboard data display that allows you to monitor your treatment. It is easy to access and understand the data. This machine performs impressively and is cheaper than its successor, the new AirSense 10 Autoset. 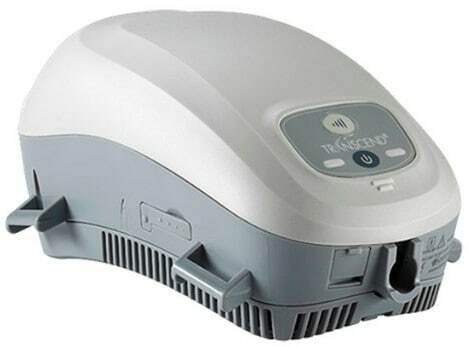 The Transcend Auto CPAP Machine also makes it on our list of best CPAP machines. The device has various features and can work with any CPAP mask. If you have used different CPAP machines in the past, then you probably have come across an unsatisfactory CPAP mask. Sometimes, a comfortable mask can suddenly become unfitting. This is why having a CPAP machine that can work with any mask becomes extremely convenient. The Transcend Auto is best for people on a tight budget but who would love a machine that’s compatible with all CPAP masks. 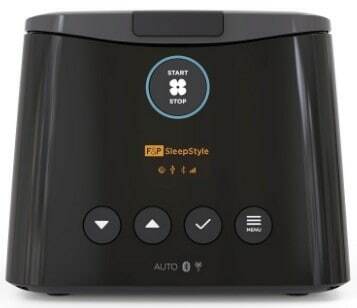 The SleepStyle Auto CPAP machine is quiet and you won’t realize you are using a CPAP. The reason for using a CPAP machine is to have better sleep. Therefore, you need a CPAP machine that produces quiet airflow. The SleepStyle Auto CPAP Machine features Auto Adjusting CPAP Technology that minimizes its inhale and exhale pressure. The machine provides mild and comfortable pressure. Many doctors recommend the SleepStyle Auto for sleep apnea patients because of its quiet operation and comfort. Using the IntelliPAP Standard Plus CPAP machine will also help you have a comfortable sleep. If you toss and turn a lot when sleeping, you will find it challenging to keep the CPAP mask on your face. However, the treatment can’t be effective if the mask is off the face. The IntelliPAP Standard Plus CPAP Machine has an intelligent feature that alerts you when the mask is off your face during treatment. The machine has slip-resistant pads that hold it into place and prevents it from falling off. The CPAP machine will keep up with your movements and stay on the table the entire night. This is the best CPAP machine for active sleepers. You need a doctor’s prescription to purchase a CPAP kit. The prescription is offered after a conclusive diagnosis has been carried out. The earlier CPAP equipment had some side effects such as condensation, dry throat, and discomfort. However, these side effects have been eliminated in modern CPAPs. Every CPAP unit is unique. The effectiveness of the machine will depend on the devices you choose. Choosing a CPAP machine should be done after extensive research. Check the features of a CPAP to make an informed decision. If you have been diagnosed with sleep apnea, carry out research to understand the basic requirements and features that would make one CPAP machine more suitable for your needs than another. Below are important factors to consider when choosing a CPAP machine for sleep apnea. A good CPAP kit is easy to use. When shopping, get a machine whose settings can be customized according to your prescription. Check whether the device has a user-friendly LED display, push buttons, and an intuitive design. Getting diagnosed with sleeping apnea and having to undergo CPAP therapy should not make your life a nightmare. Look for a machine that you can easily carry when going for sleepovers or traveling. This is a must-have feature that is found in the best CPAP machines. Your device should be able to record and store your sleep history for even up to 1 year on its data card. Your sleep therapist will use your sleep data history to refine or adjust your initial prescription. There is no CPAP unit that is 100% silent. However, there are various models that are nearly silent when being used. For example, Respironics and ResMed (Airsense 10 series) CPAP machines have low noise levels. These silent devices will make your therapy more fulfilling. Having to re-adjust your customized CPAP device settings every time the weather changes is a hassle. Therefore, select a machine that can preserve your settings. This will save you time on checking and resetting your machine with every slight environmental change. Some CPAP machine users complain of scarred faces and general discomfort from using CPAP mask. Some customers have had to buy new CPAP masks. Choose a CPAP machine with a good CPAP mask. A humidifier is a device that removes dry air by supplying moist air. Not all CPAP units have this capability. 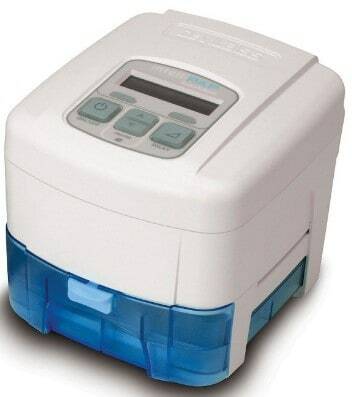 Choose a CPAP medical kit with a humidifier as you will need to control the dry or moist air delivered to you. This feature will enable your machine to adapt its output with changing environmental factors. Having a machine with climate control features is especially important if you travel a lot. The feature will minimize variations in the air that you breathe. CPAP equipment can help manage most sleeping disorders. The devices are especially efficient in the treatment of sleep apnea. If a CPAP machine does not work for you, there are other anti snoring devices you can consider. You can buy CPAP machines over the counter at your local pharmacies or online.